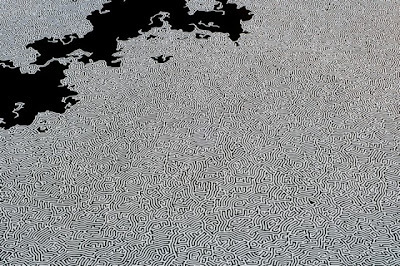 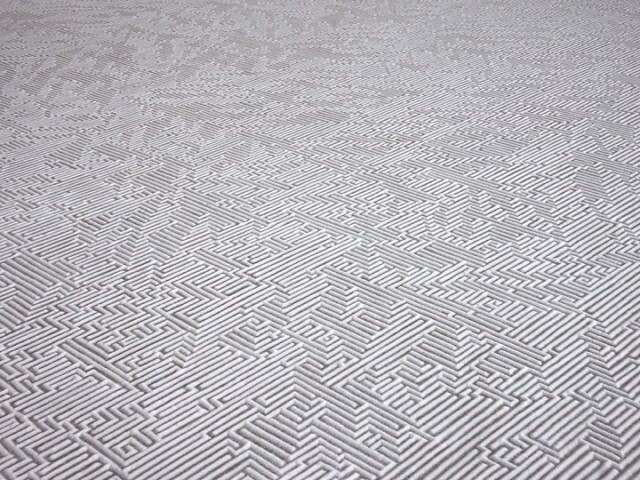 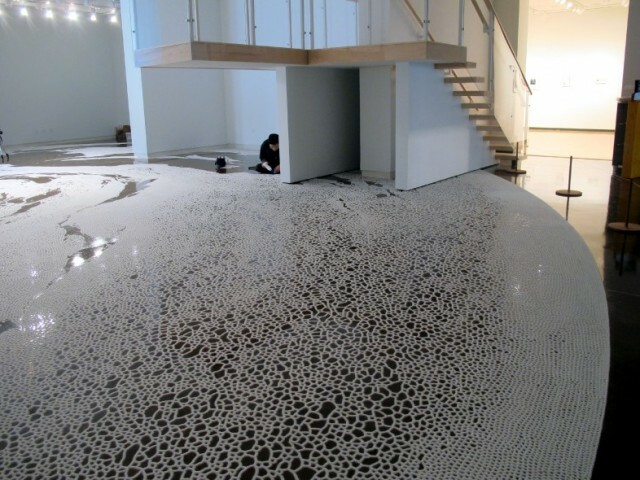 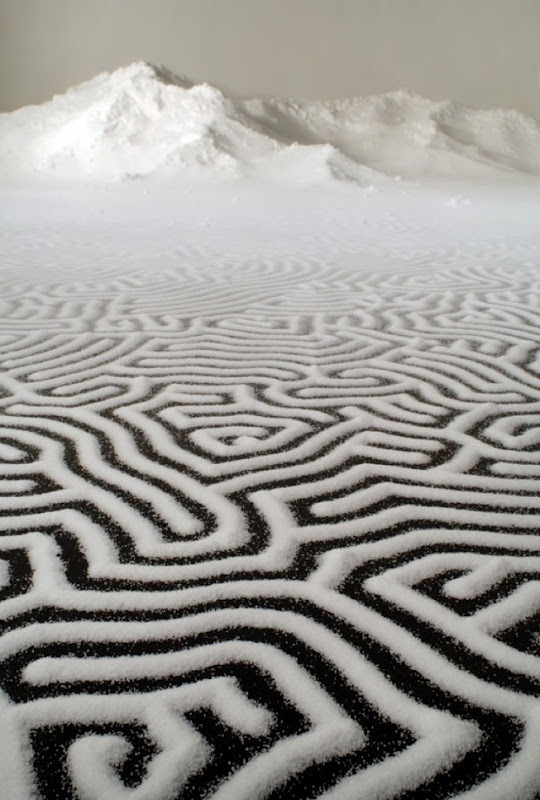 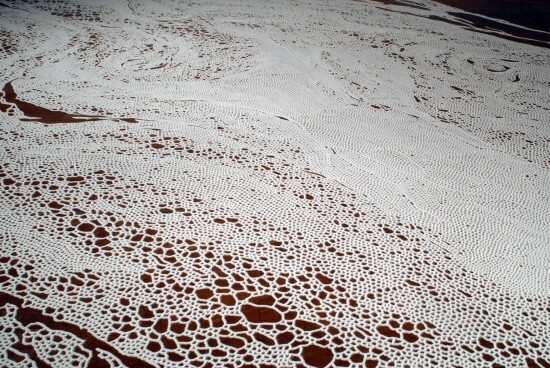 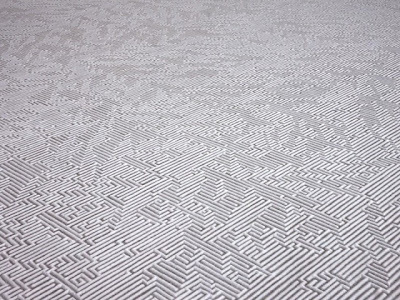 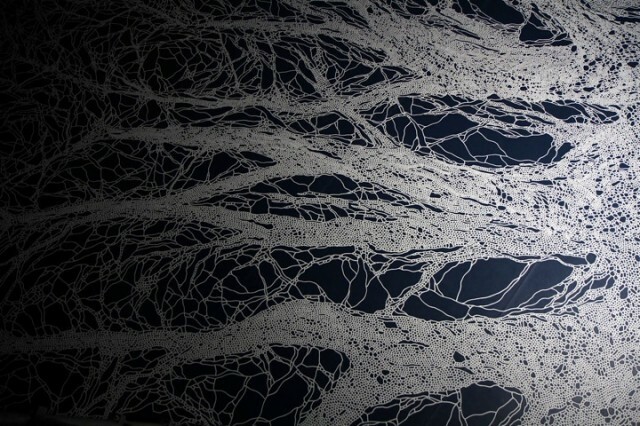 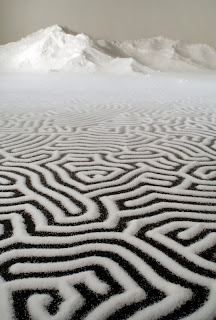 Japanese artist Motoi Yamamoto creates intricate salt 'paintings' by pouring it into installation space. 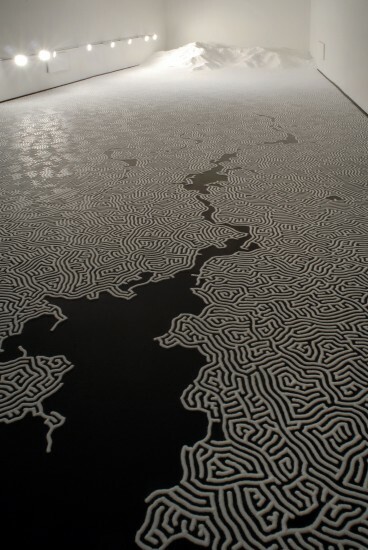 Inspired by his sister's death to brain cancer, the patterns and forms resemble the brain, mazes and organic streamline forms. 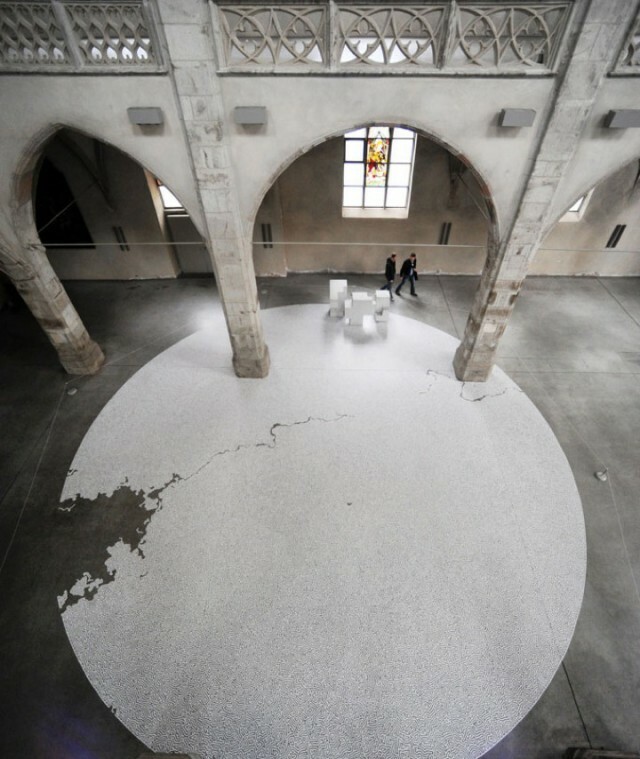 The mainly improvised pieces of work are interactive installations as after it has been displayed, the public are invited to 'destroy' the piece by returning the salt to the Sea. This symbolic gesture gives his work another dimension and layer of meaning.